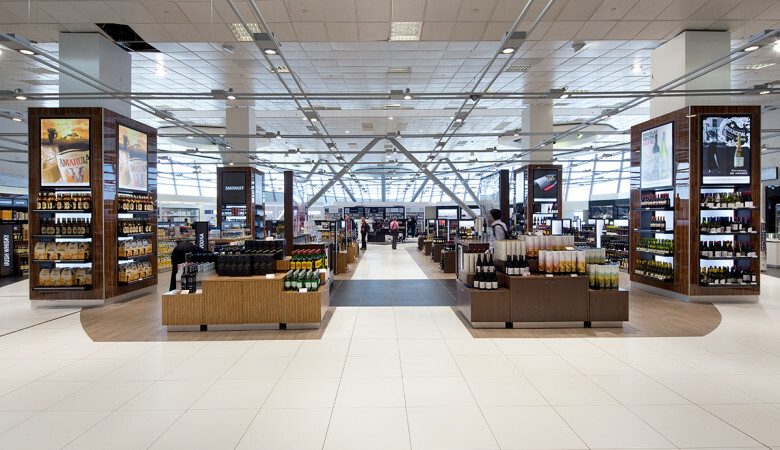 Big Five International Duty Free We were briefed to design a world class Duty Free store for Gebr. 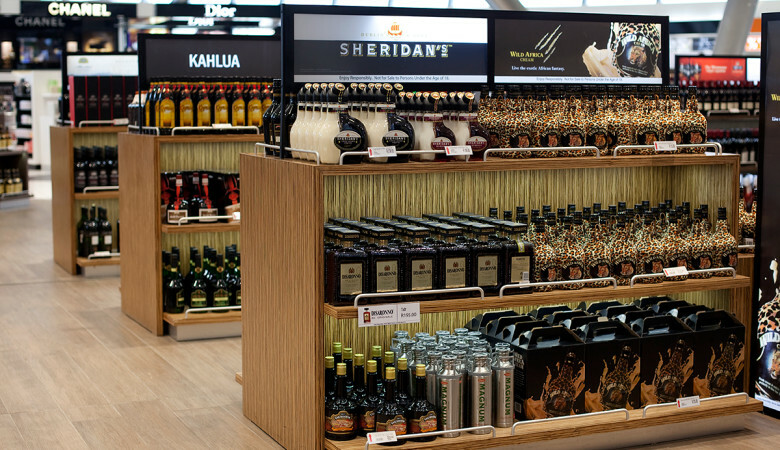 Heinemann, one of the world’s most progressive Duty Free operators. The ORTIA site, with its cantilevered structure, double height ceilings and glazed walls, posed a unique challenge viz a viz lighting and category definition. Experience told us that the international traveller’s mindset changes after they’ve gone through the twin stresses of getting to the airport on time and standing in queues to pass through check-in and security. Once airside, travellers relax and start thinking about ‘me time’. 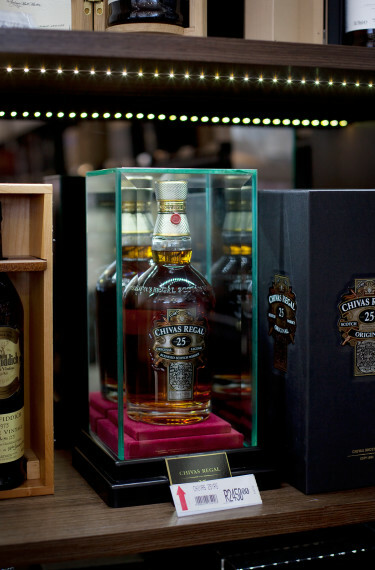 With this in mind, we set out to create a showcase environment which encourages travellers to spend more time in Duty Free to experience the many, often limited edition, brands on offer. Planning was key to ensuring commercial success. 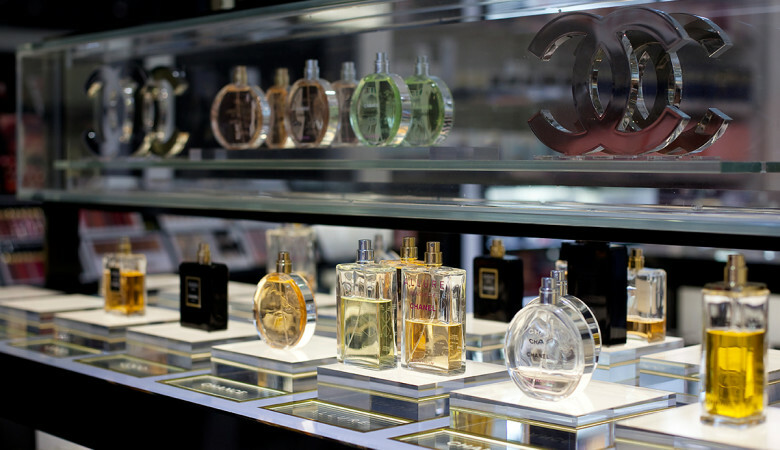 To draw shoppers deep into the space, we located the high turnover, destination Perfume and Fragrance categories towards the back of store. 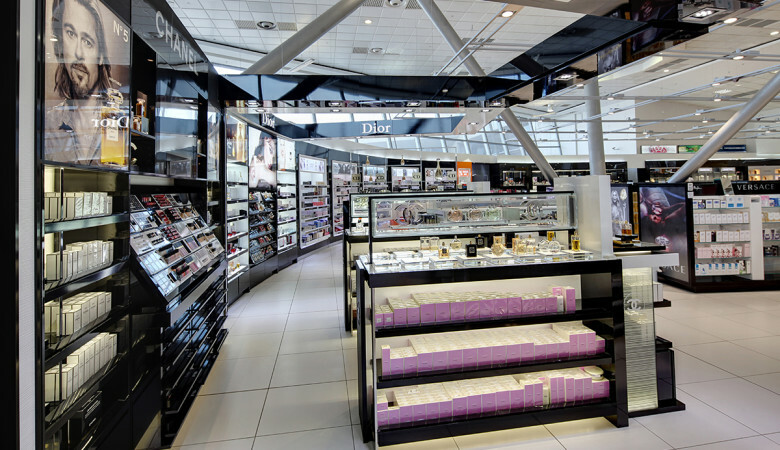 Using contrasting flooring colours and materials we created two unmissable primary drive aisles which led into the heart of the fragrances category. 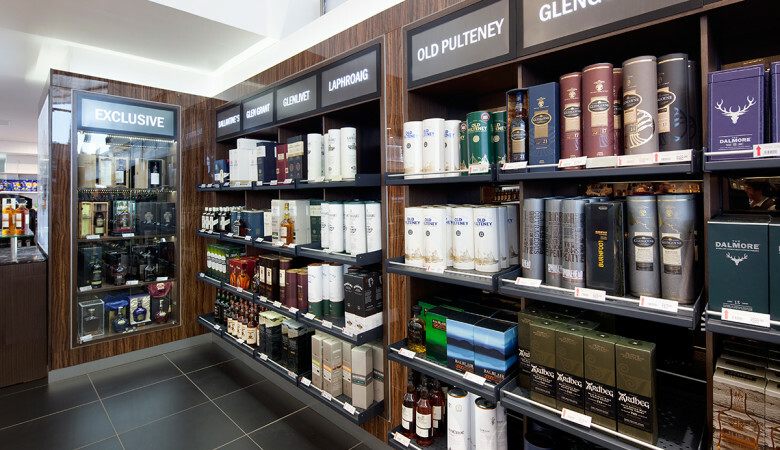 By utilising the shape of the site and by creating two drive aisles we were able to double shoppers’ exposure to all categories and products as they made their way into and out of the space. To comply with local tobacco legislation we designed a one of a kind walk in tobacco humidor.